We now have a team of professional translators combing through data from 2013 through 2017 looking for information related to the United States, Russian interference with the 2016 election, and the illegal war against Ukraine. We now have a team of professional translators combing through data from 2013 through 2017 looking for information related to the United States, Russian interference with the 2016 election, and the illegal war against Ukraine. This is a huge project that will take months. WE NEED YOUR HELP to get this job done. Please donate here so we can hire more translators and quickly publish this information in a transparent manner. 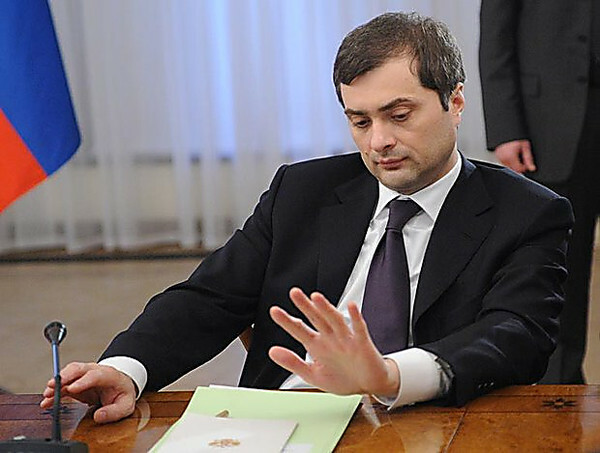 The first document we are publishing is from Surkov’s email box dated November 27, 2015, and it is titled, “The Timing And Reasons Of Imposing US and EU Sanctions Against Russia.” This 19-page document lists in exacting detail the profound scope and impact of the sanctions, and underscores why the Kremlin chose to interfere with the 2016 election by supporting Donald Trump. This document was likely prepared for Surkov to convince Putin that he had to take extreme measures to remove the sanctions. We are publishing this first because of all the recent sanctions-related media regarding the Steele dossier and the Donald Trump Jr. meeting in New York. This document is important because it shows (1) that the Kremlin can be hacked at the highest level, (2) that the sanctions were very important to the Kremlin just weeks before the Republican primary began, (3) that Russia had a powerful motive for helping Trump, and (4) that the investigation by Robert Mueller is on the right track in its probe of the conduct of Michael Flynn, Paul Manafort, Donald Trump Jr, and others in offering a quid pro quo to lift sanctions in exchange for Russian support in electing Trump.